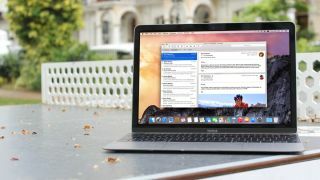 Mail Drop was introduced in OS X Yosemite as a way to send large files and attachments via the OS X Mail.app without having to go through any Mail servers. It works by uploading the file to your iCloud account (instead of sending it as an attachment), which in turn gets processed as an attachment on the receiving end without any additional work. To the receiver, this message looks normal, but is delivered in a different fashion. Mail Drop lets you send large attachments via iCloud. By default, it works with files 20MB or larger. In order to use Mail Drop, you'll have to attach a 20MB or larger file for Mail to offer up the service for you to use; if you think this is too small (or too large) of a file size limit, then you can change this threshold to use the feature inside of the Terminal. Use this command in Terminal to adjust the file size threshold for using Mail Drop. This command will change the minimum size in Kilobytes for Mail to offer up the use of the service. Here, we've set it to 10MBs (or 10000 KBs). Press return to activate the new setting, then relaunch Mail for the changes to go into effect.